Details of the plan are contained in a government report on Y-12’s “Life Extension Program,” which was obtained by the News Sentinel under a Freedom of Information Act request. “The enriched uranium processing facilities at Y-12 have reached or exceeded their design life,” the January 2016 report stated. The plant’s primary capabilities for working with bomb-grade uranium are housed in the notoriously deteriorated 9212 complex, parts of which date back to the World War II Manhattan Project. The work in 9212 will be replaced with newly constructed facilities in the “near future” — by 2025 — or relocated to existing facilities, according to the report. Getting out of 9212 and removing its inventory of highly enriched uranium is a top priority because of safety concerns. Much of the work will be transferred to a newly constructed Uranium Processing Facility, which is under development with a cost estimate of $6.5 billion. But the key to success may be extending operations at Beta-2E, where warhead parts are assembled and taken apart and evaluated for quality, and 9215, where uranium is machined into warhead components. In addition to their existing missions, Beta-2E and 9215 are expected to absorb new roles — and new technologies — to carry out some of the uranium work previously done in Building 9212. Breathing new life into two old buildings for highly sensitive work on nuclear weapons became a priority a couple of years ago when plans for the Uranium Processing Facility fell apart. 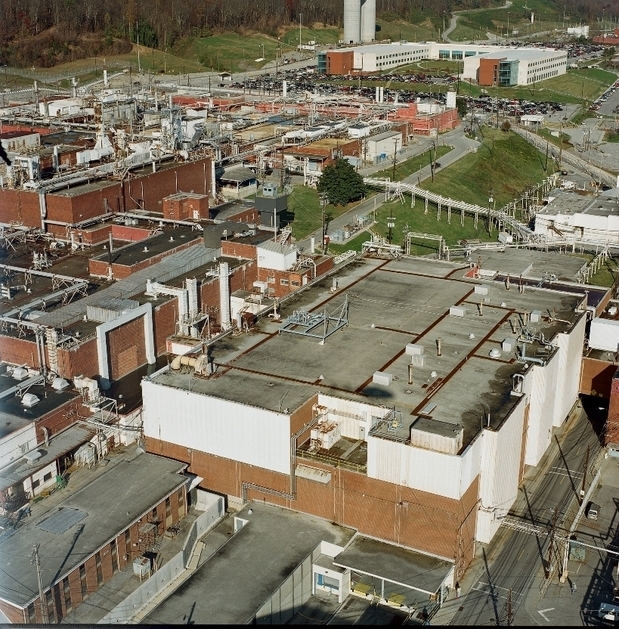 The original goal was to consolidate virtually all of Y-12’s work with enriched uranium at a single new facility, but UPF’s price tag soared beyond the estimated cost range of $4.2 billion to $6.5 billion and forced a re-evaluation. A review team headed by Oak Ridge National Laboratory Director Thom Mason recommended a scaled-down project, with smaller facilities done in phases. In order to stay within the cost cap, the review team also recommended the extended use of existing facilities to do work that would have been included in UPF. While there are significant costs associated with the revamping of Beta-2E and 9215 for future uranium operations, those costs apparently will not be counted as part of the UPF price tag. “Since Buildings 9204-2E and 9215 have been maintained and funded as limited-life facilities, additional resources are necessary to augment the maintenance base as well as plan and execute the identified replacements and refurbishments,” the report stated. The “notional” cost for extending the life of these old buildings is about $20 million to $25 million a year for the next 20 years, according to a chart in the report, but the National Nuclear Security Administration has not revealed an official cost estimate and did not respond to questions. Even with efforts to modernize the two production buildings, they eventually will have to be replaced. The tentative plan is to construct a new facility near UPF in the late 2030s to replace Building 9215. A replacement for Beta-2E would probably come a decade or so later. Because of the complexity of the life-extension projects, the National Nuclear Security Administration’s Production Office and the Y-12 contractor — Consolidated Nuclear Security — sought the advice of nuclear experts from around the country and beyond. Y-12 hosted at least two workshops to gather input on how to address risks at aged nuclear facilities. According to the report, there were representatives from the commercial nuclear industry and other sites in the U.S. nuclear weapons complex, as well as the nuclear navy and the United Kingdom’s Atomic Weapons Establishment. The Oak Ridge plant houses the nation’s primary stockpile of bomb-grade uranium, and the biggest concern with fissionable material is the threat of a nuclear criticality accident. “As long as there is an enriched uranium mission, Y-12 will continue to process enriched uranium in quantities capable of reaching critical mass,” the report stated. The report discusses some of strategies for fire protection and ventilation at the uranium facilities, as well as minimizing the impact of natural disasters and addressing other safety issues. The plan is to have periodic shutdowns of some production equipment at Beta-2E and 9215 in order to focus on upgrades and repairs. Work on electrical systems is already under way. Critics have raised concerns about the seismic stability of Y-12’s older buildings, and the report notes that recently issued hazard maps by the U.S. Geological Survey show an increased potential for ground motion in East Tennessee. The report also indicates that Building 9215 would not likely meet natural phenomena criteria — even with upgrades. Y-12 is dealing with many of the concerns by minimizing the amount of uranium housed in the buildings, removing as much of the “material at risk” as possible. According to the report, the plan is to use a “just-in-time” strategy at Beta-2E and Building 9215, which would limit the uranium to quantities being processed at any one time.